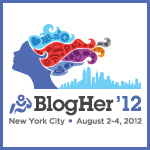 Pssst… wanna sponsor an enthusiastic blogger for BlogHer ’12?! 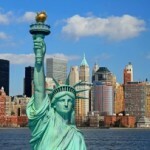 As you may know, I am looking forward with great excitement to attending BlogHer ’12 in New York City this coming August (just over two months away – can you believe it?!). And why wouldn’t I be excited?! I get to travel to another country – to one of the most amazing cities in the world, no less… I’ll be able to meet and hang out with online-only-so-far friends in person… I’ll have the chance to network with fellow bloggers who have similar goals and dreams as mine, with their own unique perspectives on life and blogging… a blogging celebrity who would make my year if she were to sign my copy of her book is scheduled to be at the conference… there will be a ton of parties to attend and – oh yeah – fabulous sessions to teach me how to take my blogging to the next level… all in all, an amazing whirlwind of a weekend. I’m telling you, I am (quite literally) counting the days! This is an opportunity which for several reasons I doubt I’ve have considered (or even been able to consider) had we not moved across the country last year, so I am tremendously gratified that listening to my heart and following a dream is being rewarded in such a delightful manner. Now, inspired by Megan’s delightfully clever and funny post at monday morning musings (megan blogs) (go ahead and read it – I’ll wait! ), I have decided to compile a list of dream companies for whom I would be an excellent representative – before, during, and after BlogHer ’12 – should they decide to consider me for sponsorship. I am bonded with my beloved iPod Touch and now, most recently, with my amazing and versatile iPad, and happily sing the praises of both to anyone who will listen. If I were to be handed the ultimate in sponsorship swag goodness, a MacBook (hint, hint), I’d be more than willing to give up my laptop and add another verse to my Apple chorus of tribute. Yes, yes I would. You know, Telus Mobility, I’ve been your loyal customer since 1998. That’s a long time, I’d say! Wouldn’t you like to reward my loyalty and enable me to continue (only more so) telling others just how wonderful you are by, say, giving me a free iPhone and sponsoring my contract for a year or three? Wouldn’t you? I think you would! If Telus Mobility isn’t willing to step up and acknowledge a long-term customer with a sweet sponsorship, perhaps one of you would like to pick up a new customer! 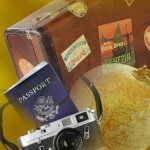 Same deal – free iPhone, sponsored contract – what do you think? I’d do you proud! I may not have mentioned you by name, but you’re out there, just waiting for an enthusiastic blogger such as myself to discover your product or service, fall in love, and subsequently rave about you to all and sundry. Who are you? Where have you been all my life?! Call me! Thus ends this shameless (and rather cheeky) round of sponsorship-seeking silliness. I shall wait with bated breath, in anticipation of good things. Well, what are you waiting for?! Send me an e-mail! 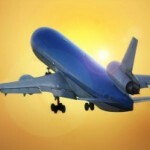 Just one more week until BlogHer ’12! Wish I was going with you, but am so totally swamped at work right now. Have fun! @GirlWhoCriedSkinny I wish you could be there! I think it’s going to be amazing.